The most searching questions are "How to get more visitors to my website"? How to build website traffic? How to boost site traffic & how to increase website hits? There are several new ways to get more traffic to your website & to improve the number of visits to your blog. Here I have listed some marketing techniques & the best way to drive traffic to your website that will drive more organic but fast web traffic to your website in a month. And these methods start right from the moment you have decided to have a blog post for your website. Writing a quality blog with all convincing, engaging and informative content is the most important factor you need to follow. The blog should include catchy headings, sub-headings, bulleted points, keywords, etc. The title needs to be memorable and self-explanatory. There are several website traffic generator tools & traffic exchange schemes available, but at the same time, you need to focus on several social media marketing sites for website promotion that will later bring more and more visitors to your blog post in no time. The more people find your blog; you will get more visits for your blog posts. Your content will then convert that visitor into a regular reader. With proper guideline and tips listed here with this article, the process becomes easier and simpler to fetch more page views from your visits without any website advertising. There are some website traffic tips to enhance the number of visits to your blog post in a month. You need to practice the best strategies so as to get hundreds of thousands of new readers for your blog. Ultimately, in turn, will help you gain with thousands of new customers for your business. 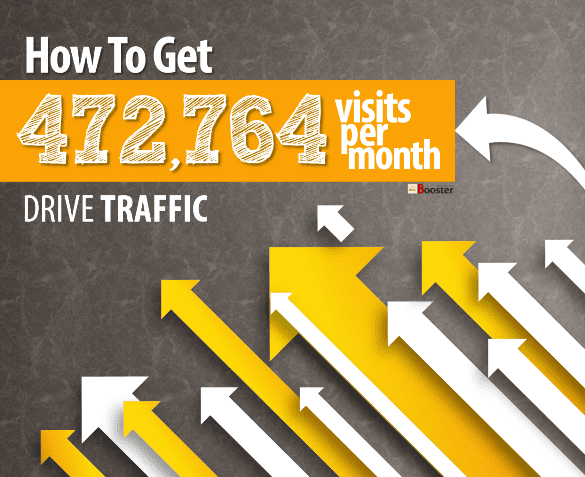 Check out the the best way to drive traffic to your website. In the previous post we have seen, Top 500+ High PR Sites  To Build SEO Quality Backlinks for improving your page authority and then domain authority that will help you rank higher in search engines. Here today, I am going to share my own experience with you, how I work with my blog posts, how I re-edit and give some energy to old posts and how I focused only on the quality of posts to publish on this site. The above graph shows my recent site statistics for the month resulted after following the best strategies to drive more and more organic traffic from the search engine. I am not talking about buying traffic or any black hat SEO. Follow these techniques to build website traffic and help yourself [DIY] to grow your business. 1. Write a long, descriptive roleplay blog post. While writing a lengthy content, it is ideal to break it in points, sub points. Adding headings, subtitles, numbers, bulleted points, etc. makes the content rich and attractive. It is necessary to choose regular font styles and size. Designer or glossy fonts looks nice, but it should be avoided. Try to write in paragraphs and cut down the length of the sentence. Add more and more images related to your blog post. Images help you to convey your message quickly & easily. If you know the 5 Reasons Why Visitors Bounce From Your Business Blog you will get clear that the images also help to boost your conversation rate and to reduce bounce rate. Keywords are important too and play the major role not only in listing the blog post but also to get higher ranking in the search engine results. Try to add descriptive or long tail keywords so as to make the blog post catch and crawl by search results as soon as you published it. 2. Smartly interlink your blog content. Interlinking helps the readers to quickly locate the related post. The purpose of interlinking your blog content is to have search engines. Links are important for better SEO results, which are necessary to be found and read. The reader can spend more time on your blog post and possibilities increases that they share the post with others. Internal linking strategy helps to bring more visitors to the blog. 3. Choose interesting subject to write that capture your reader. It is not that you should only write big and informative blogs. It should be interesting to read. For this, you can add your own experiences or share stories that you have faced. The subject you select should be interesting and able to catch the attention of more and more readers. In case, if you wish to get the most out of your business blogging then you must pay attention to writing engaging and compelling blog posts to drive more website traffic. 4. Create evergreen content for your blog post. Just keep in mind that, the topic you have selected for your current blog post is going to live on the web for an extended period & until the death of your blog. You must focus on the taste of the content and avoid lagging it back with time. The evergreen blog post & contents drive as much as 250%+ more traffic in just 30 days. You must take some efforts to make it evergreen. Check out: 10 Best Ways To INCREASE DOMAIN AUTHORITY that'll help you rank high in SERP. 5. Distribute your content on the web & social media. You must know, the people will not find your content accidentally. You need to take efforts to get your blog post displayed on their screens. For this, you can take advantage of social media. You can expose and distribute your content to every group on social networking site. It can be a Facebook, Twitter, YouTube, emails, etc. For this, you need to build up your social media profiles & brand pages. This will lead extra traffic by social promotions. Also, you can request to email your posts to your friends and ask them to forward ahead. Social networking sites offer an amazing environment for building traffic and growing you as a brand. It is the easiest & practical way to promote the readership with new visitors along with your followers. Distributing the content on social media brings a significant increase in the page views. 6. Join blogging communities for growing your blog network. Along with sharing your blog post on social media, start participating with other blog communities. Commenting on other’s blog posts is an excellent way to add backlinks to your blog as well. This way you can grab new readers for your blog post. Start joining blog communities and drive extra website traffic. 7. 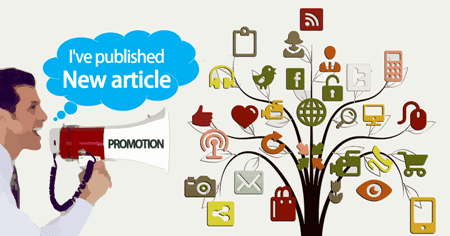 Publish your posts in the right place & at the right time. Posting a blog at the right time & in the right place is always beneficial. The right time for posting blog is when your target audience is online. You need to keep an eye while publishing your content on social sites. My experience says, for website promotions, the morning time is the best time to post on Twitter, whereas the evening time is better to publish the links on the Facebook. Depending on your content and the target audience, you can choose the right time for posting your blog. You can post the blog to a particular time of the day or week. Try to post blog same time each day to gain trust from your readers. 8. Have your own domain name. The domain name is nothing but the online identity of you and your blog site. If you have your own domain name, it will be more helpful to boost traffic for all your blog posts. With your own domain name, you can provide a more professional look to your blog post. 9. 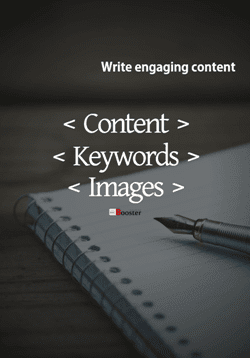 Make content visible to search engines. High quality and well-crafted materials added into blog posts are always assured to drive website traffic. Again, you need to design it keyword friendly, SEO friendly, and mobile-friendly too; so as to get visibility on all popular search engines. You also need to set your blog’s privacy setting to get visible to all the search engines. These are the most important factor that the Google using it as a ranking sign. 10. Keep audience attention more than search engine. You must focus what readers want to see on your article than focusing what Google wants to see on your site. Furthermore, there are companies and web applications those provide more and more visitors. If you want to get published your blog to more and more readers, you may use it, but for a long run, you need to keep audience attention on higher priority. 11. Consider having a guest blogger. 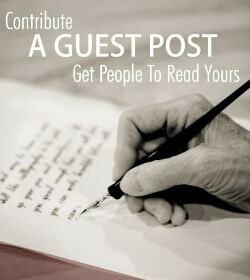 One of the most useful methods to get free traffic and grow sales is through guest blogging. If you are a new blogger and have a very limited audience, encourage others to contribute your site. Guest blogging benefits helps you to build domain authority to get traffic, and also improve your SEO ranking in a smart way. This is one of the fantastic ways to increase not only the page views for your articles but also to develop your blogging network. For this, you need to find those sites which have a relevant audience. Moreover, the guest blogging amazingly best tool to generate targeted traffic and active subscribers that influence the relative audience. 12. Participate in question and answer sites. If you see, there are thousands of websites founded now like Yahoo Answers, Quora, etc., etc. ; where the people publish and ask the questions online. Many website developers and blogger visits, open accounts and start answering the relevant questions. In return, they get the clicks on their replies and ultimately get rewarded in the form of new visitor to their blog. Participating with such sites will definitely help you to bring more traffic to your blog post. If you want to grow traffic for your blog post, hosting events can be of great benefit. Meet and connect with the people in real-world, discuss the content, blogging strategies, about your blog design and your techniques with them and invite them to join and share your blog with their friends. This will help you to generate more and more visitors for your blog post. The newsletter helps to showcase your blog posts. First of all, you start collecting the emails where you can distribute the newsletter. Send newsletters to these contacts on a regular basis informing about new blog posts. This will help you to bring more visitors to your website. 15. Optimize website loading speed. One of the most important things you should be noted here today that the decreasing website loading time surely increase the conversions and ultimately more page views, more revenue. If your page doesn’t get opened fast, you will not get any click for your blog post. There are different tools available online to measure the speed of your blog post to help greatly as your blogs get loaded quickly on the visitor's screen. You must focus speeding up your site and improve website performance. If you improve your site loading, that will improve your SEO, so it will then improve domain authority and the overall result shown in improved website traffic. 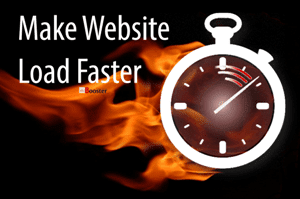 Check out, the best ways how to make your blog load faster. Blogging is nothing but interacting channel through online discussion. It is an excellent way to convey your message, especially about your business. With a blog post, you can make the people aware of your business. But, for this, you need to bring traffic to your blog. It is very easy to create a blog, but hard to bring significant traffic. It is really challenging to gain hundreds of thousands of visits in a month. Exceptionally, there is an art to building traffic for your first blog post. Try out different methods discussed above to increase blog traffic. Bring traffic to your blog and promote your business across the world. If you have any better idea then do share with us that will help others. Don't forget to like this page and share your experience with us after following these ideas to build website traffic.